This resource accompanies the The Elephant Dance song from Sing and Play Purple. Directions: Color the elephant and body parts. 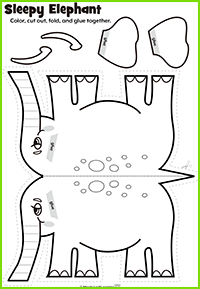 Fold the elephant in half and fold its nose according to the lines. Glue on the body parts.